Did this to try and get me out of an art block/rut I was in, original sketch is from June. 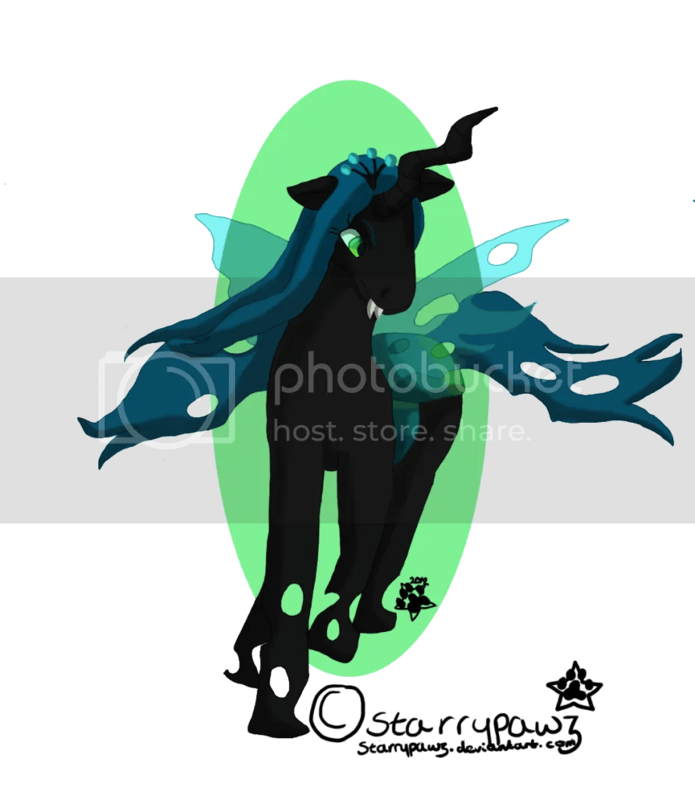 Queen Chrysalis from MLP, I thought she had a pretty awesome design. Not much else to say. Job hunting is going… okay, had another meeting with the Job Centre, I finally got in touch with my ‘personal advisor’ so I’ll be seeing her apparently rather than being sent to random people. She seems nice, actually seems to want to help me rather than bark at me, seems understanding yada yada yada… She thinks Im doing pretty well in my own efforts, thinks that I’d be ready to ‘walk into a job tomorrow’ (if only I were so lucky) gave me a few CV pointers, suggested a few vacancies (rather than going APPLY FOR THS NOW!) and set me up on a ’employablity’ course (don’t really want to do it but meh) I have to go for an assessment on Friday and the course itself starts in September, it’s only for two weeks and the actual course is held pretty much next door to me. I’m going to London tomorrow with my brother as he’s having to photograph some landmarks, so chances are there might be some photos to show off. Still need to scan stuff in, but we’ve had plumbers come in so things are a bit hectic, I managed to get a ‘bug out’ bag of my laptop, sketchbook, tablet, pencil etc but can’t really bring the scanner out of my room so I’m sort of stuck.